I can still recall sitting in an Honors World Literature I course as a sophomore in 2005. The course, which covered most literature from the ancient world until the 17th century, was one of my favorites in college. I loved the course partially because my professor seemed to genuinely care about the material being discussed in class. We once spent time in class reading the Roman epic The Aeneid. When we came to the portion of text where Aeneas spoke to his father about the future of the Trojan people in Rome, she began to weep. I’d never seen this before: a professor—or any teacher—who cared so much about a fictional story, she could not help but cry. I knew, at that moment, I had to find a way to become a college professor. I find myself thinking more about how emotion affects our job as an instructor in the classroom. Just this semester, I’ve lectured on the birth pains of the early Republic. I find myself emphasizing the difficulty of building a new nation, and the political and social divides that were present from the beginning of the United States. I tend to avoid making direct parallels between the past and present—mostly because my students will make sure connections in class, sparking further discussion—but I cannot help but think about the United States in 2018, struggling with deep political, social, and cultural polarization and look back at the early days of the nation. Sometimes, I quiet my voice just a bit to emphasize some of these parallels, pushing students to listen a little more intently. However, the true test of handling my emotions in the classroom has come when discussing two topics: slavery and lynching. With the latter, I find the images of lynching distasteful—and precisely because of their raw, unfiltered emotions, I continue to use them. Students, I find, tend to be stunned and made uncomfortable by lynching photographs. I continue to use them in classes on the New South and American History, focused more on the smiling crowds and the shocking realization (at least for my students) that so many people enjoyed going to these events. Imagery also makes slavery come painfully alive for my students. 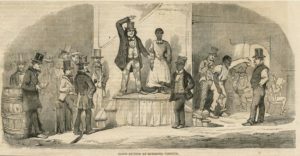 Over a month ago, I used an image of a slave auction that was widely circulated in the 19th century. When I showed it to my students as part of a power point presentation, however, I found that I had to collect myself. 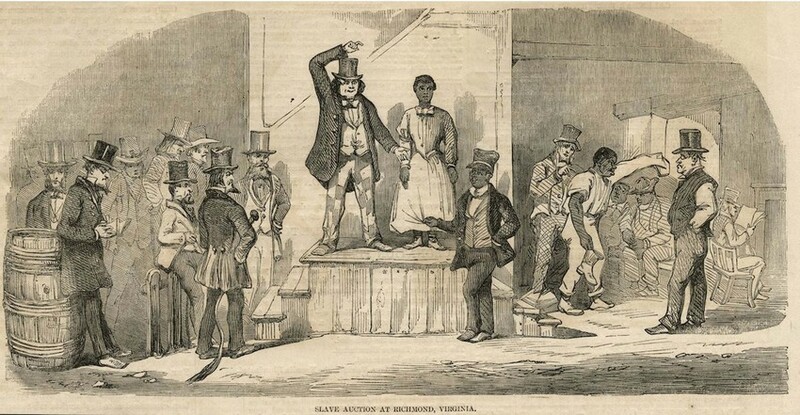 Staring into the face of a young woman, terrified about continuing her life as a slave, I could not help but think about my ancestors, who were faced with the same daunting situation. Teaching students at an HBCU, I have no doubt some of my students thought about the same thing. I did not want to cry in front of my students. But my voice did break—just a bit. Perhaps that was for the better. Students should know how deeply we think and feel the stories from the past we teach to them. You never know who you’ll inspire to ask a question, read a new book, or to even push to one day be the person lecturing precocious youngsters. November 15, 2018 in Robert Greene II.